Violist Luis Enrique Vargas is a member of the Euclid Quartet since 2001 and teaches viola and chamber music at Indiana University South Bend where he was appointed Lecturer in 2007. Born in Venezuela and brought up in a family of musicians he was first introduced to the music world at age 14 when he became a member of the internationally renowned "El Sistema" of the Venezuelan Youth Orchestra. As a member of "El Sistema" he was an active educator throughout Venezuela, and an active performer and chamber musician. He pursued studies at the Vicente Emilio Sojo and the Simon Bolivar Conservatories of Music in Venezuela. He moved to North America in 1997 where he pursued a Diploma in Chamber Music at Wilfrid Laurier University in Ontario, Canada, guided by the Penderecki String Quartet. He resides in the United States since the fall of that year. While in the US he got a Master’s Degree in Music Performance from Miami University of Ohio and a Performer’s Certificate from Northern Illinois University where he studied with Richard Young, violist of the Vermeer Quartet. Throughout his career, Mr. Vargas has studied with many internationally known musicians. Among them are Jose Manuel Roman, Richard Young, Gerard Causee, Li-Kuo Chang, James Dunham, Michael Tree, Earl Carlyss, and the Penderecki, Vermeer and Emerson string quartets. 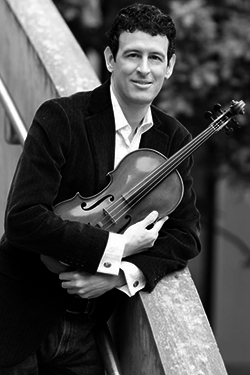 He is currently a member of the National Academy of the Recording Arts and Sciences (the Grammy® Awards organization), as well as an adjudicator for the Fischoff National Chamber Music Competition, and a member of the board of directors of the Hugo Kauder Society and advisor for their International Music Competition. He is, also, an adjudicator for the Music Teachers National Association Chamber Music Competition to be held at the MTNA National conference in Chicago, IL. Other teaching positions have included the Sulzbach-Rosenberg International Music Festival in Germany and the Rocky Ridge Music Center in Colorado, USA. With the Euclid Quartet he was awarded the Bronze Medal at the Osaka International Chamber Music Competition in Japan in 2005, the Grand Prize at the Hugo Kauder International Music Competition at Yale University in 2004 and second place at the Chamber Music Yellow Spring Competition in Ohio in 2003. Relevant performances with the Euclid Quartet include venues such as Izumi Hall In Osaka, Japan, Weill Recital Hall and Zankel Hall at Carnegie Hall in New York City and Harris Hall at the Aspen Music Festival. He was a member of the Cuarteto America (1995-1999) with which he performed extensively throughout Venezuela and in Luxembourg, Germany, Colombia, Mexico, Canada and the United States. With the Cuarteto he attended international music festivals such as Norfolk (CT), Great Lakes (MI), Round Top (TX), and attended the International Music Symposium "Strings of the Future" in Ottawa, Canada in 1997. With the orchestras of "El Sistema," namely the Lara Symphony and the Simon Bolivar Orchestra, he performed in multiple tours to Brazil, Curaçao, Spain and France over a span of 9 years. With the Simon Bolivar Orchestra he recorded "Latino-American Lollipops" a compilation of Latino-American masterpieces under Dorian Label. With the Euclid Quartet he recorded the entire Bela Bartok string quartet series under Artek Label in two discs released in 2010 and 2013. He also recorded the string quartets of the Viennese composer Hugo Kauder under Centaur Records.